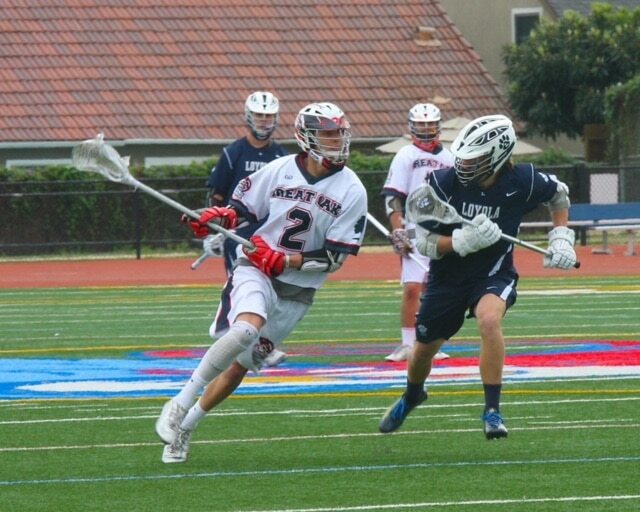 Sean Sanchez, a sophomore attack for Great Oak High School, verbally committed to play NCAA Division 1 lacrosse at Jacksonville University. Sanchez racked up 18 goals, 21 assists and 16 groundballs while helping the Wolfpack reach the OC quarterfinals last season. He plays club ball for 395 Starz, 3d Lacrosse and West Coast Starz. “I would like to thank coach Paul Morgan for introducing the game to me”, Sanchez said. “He was my first club coach and was a huge part of my lacrosse development. I would like to thank Coach Burke. My 8th grade spring season was a season I will never forget. Coach Burke has shaped me into the player I am today. Coach Burke taught me how to TAKE OVER GAMES. I would like to thank coach Karl Rohlin for giving me the opportunity as a freshman and for teaching me what it takes to be an offensive threat and how to have fun within the game. I would also like to thank coach Jono Zissi and the rest of the coaches from Adrenaline. Coach Zissi gave me opportunities to play with the best and against the best on the west coast and the east coast.